October | 2012 | Robert Pollien, Artist: Maine, Wyoming, Landscape, Crows. I was all set to start a new drawing this morning but ended up heading out to Sand Beach to work up the preliminary layer of a small oil painting, a study for a larger piece. 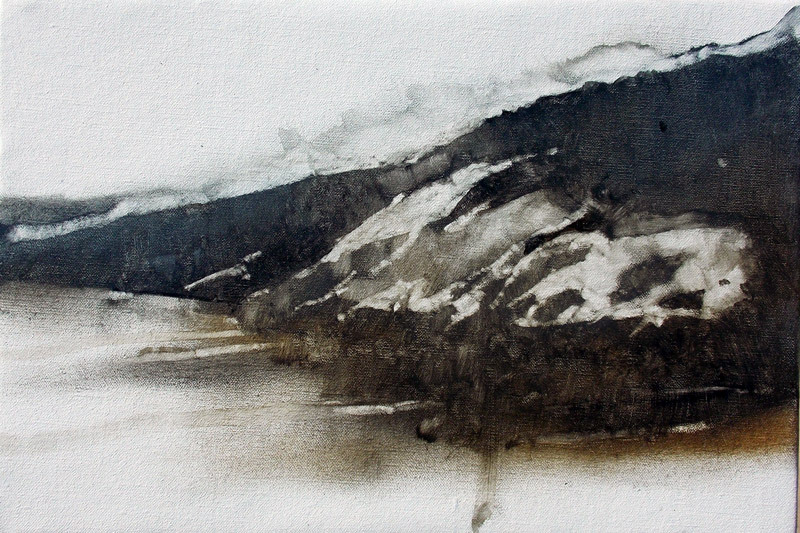 Today I felt an overwhelming urge to put the brush and turpentine into play, putting the pencils aside for a while. The weather has turned very blustery. It’s quiet out in the park these days, so I shall not complain too much about the weather. 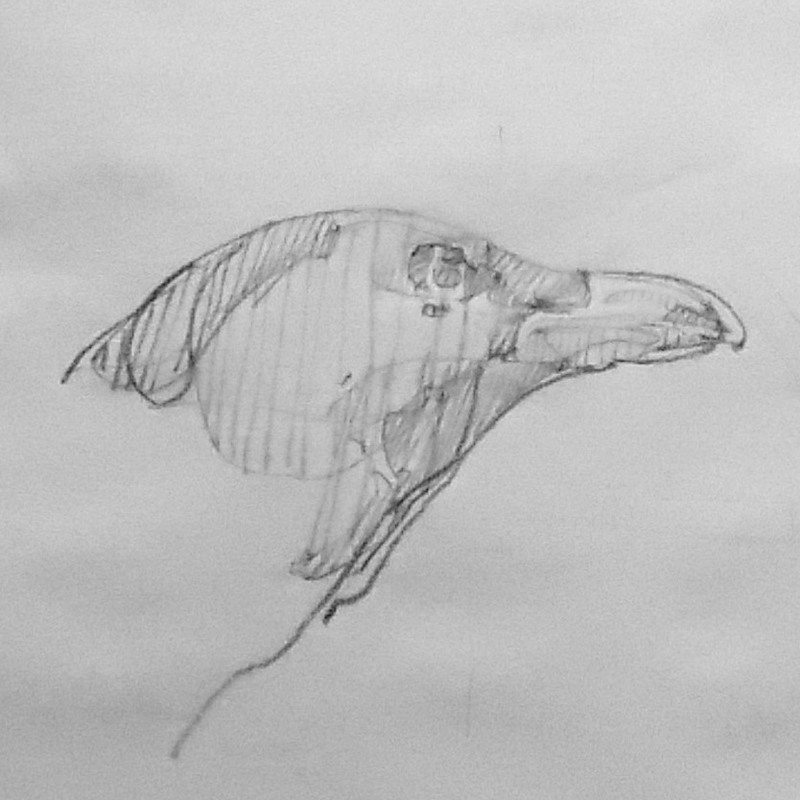 Crow profile study. 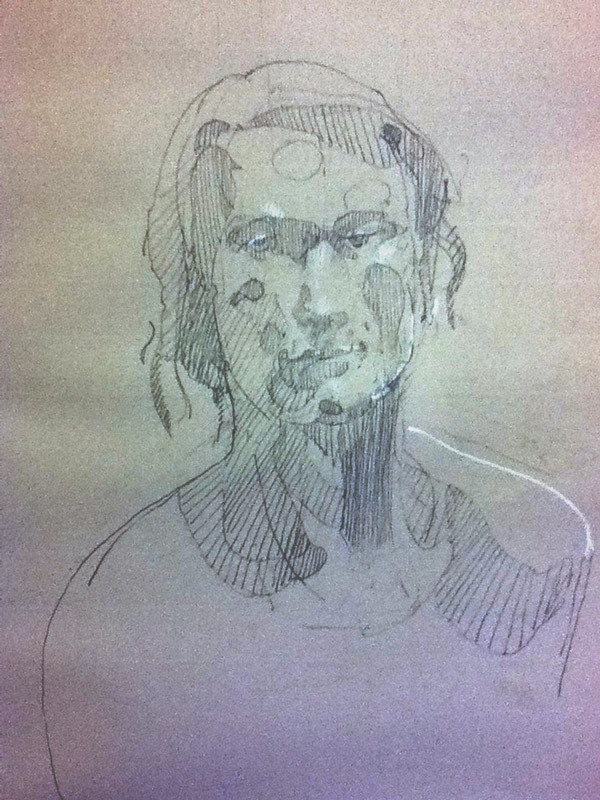 To quote Andrew Loomis, “fun with a pencil”. 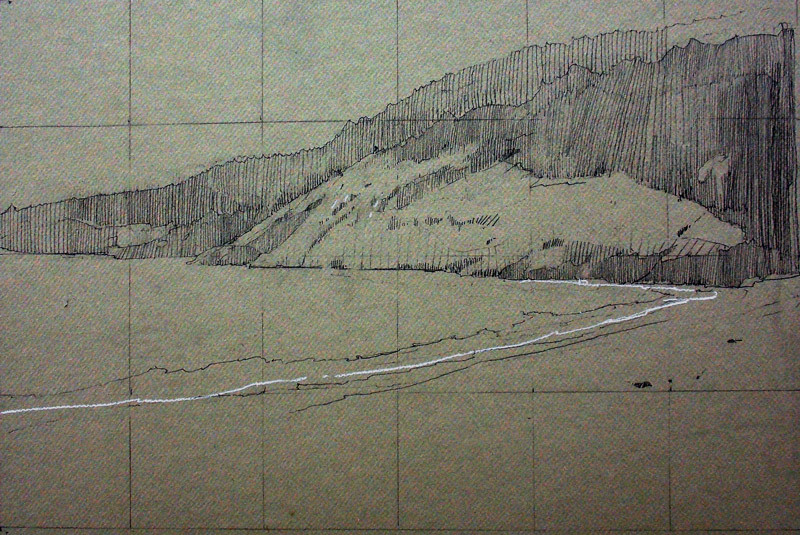 Sand Beach, work in progress, 12 x 18 inches pencil and Conte on Canson board, Click to enlarge. I’ve started a new Sand Beach drawing. On cloudy days, the subdued colors and substantial mass of the granite play off beautifully against the water and sand. There are still quite a few visitors on the beach by late morning. 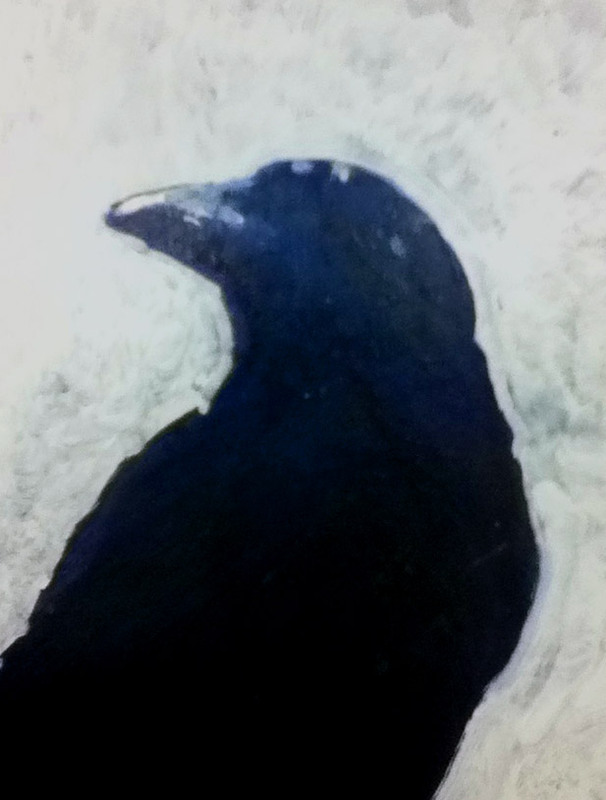 This is a shot of a small crow painting. I have recently vowed to never again work in such ridiculously small scale. My bad.I’m currently working on a crow piece that is closer to life-size and finding that the painting moves ahead at a much more agreeable pace. 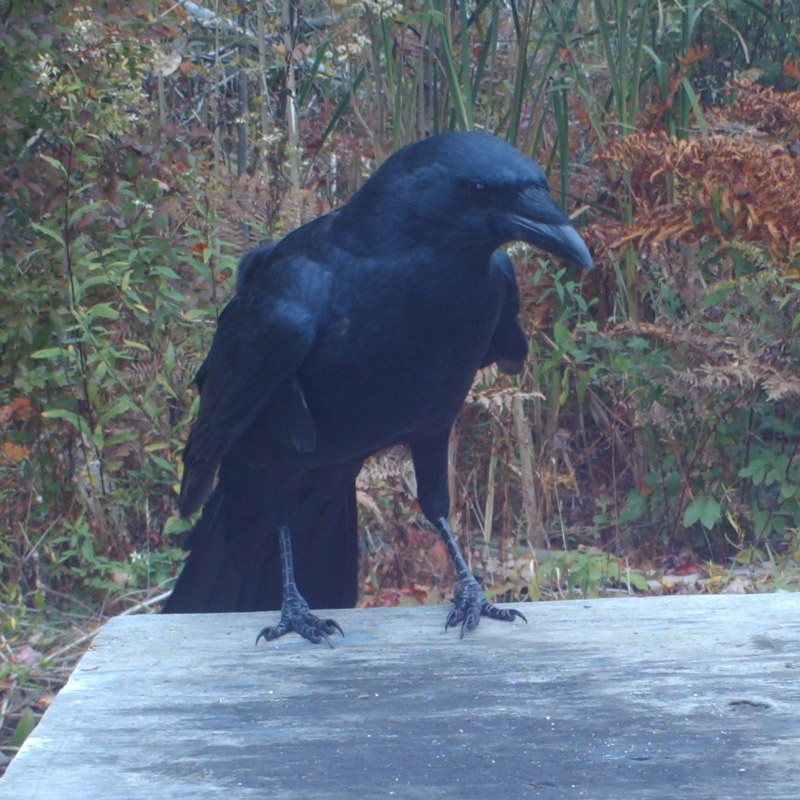 Return of the Crow Camera! The seasons are changing. 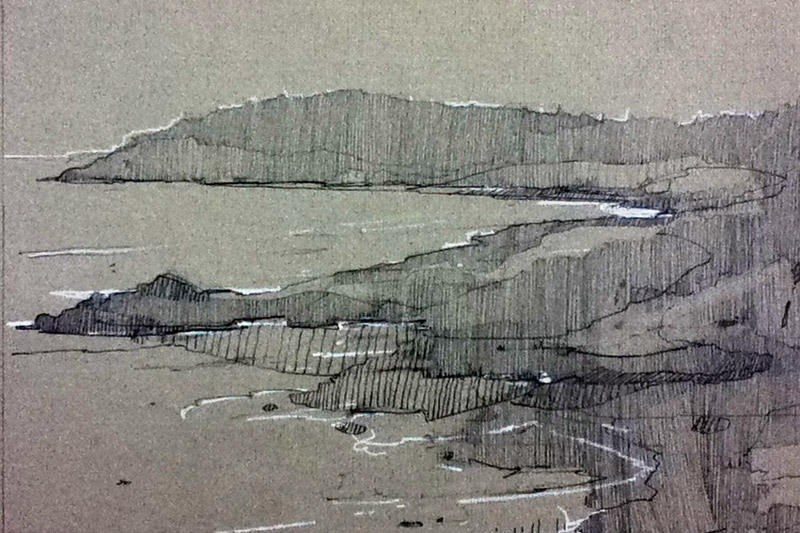 Recently, I’ve been out in Acadia drawing from a vantage point above Monument Cove. Note: The image has been updated to reflect a bit more work, didn’t feel it merited a new post.